Are you looking for Lake Minnetonka Homes for Sale? Dan Gustafson of Coldwell Banker Burnet is happy to provide you with every available house on Lake Minnetonka in one easy to find and browse place. Lake Minnetonka homes come in all different shapes, sizes, and price ranges. Even with a budget under $200,000 you can purchase a condo with Lake Minnetonka Access. 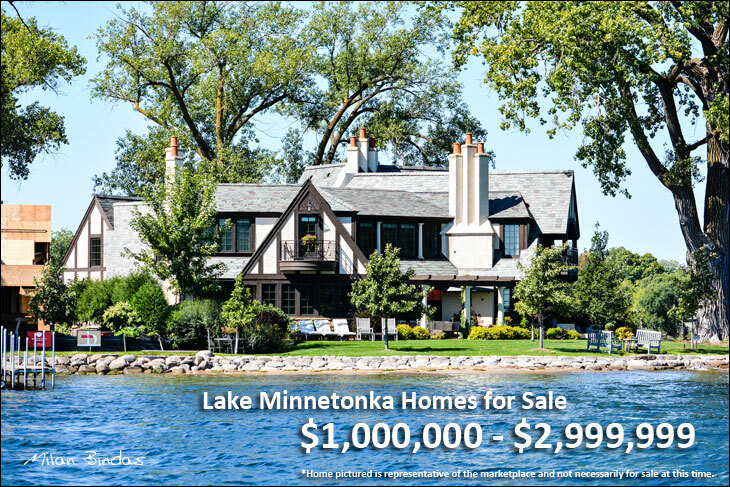 Many homes are priced under $1,000,000, and the Lake Minnetonka Luxury Home market starts at about $1.5 - $2 million.